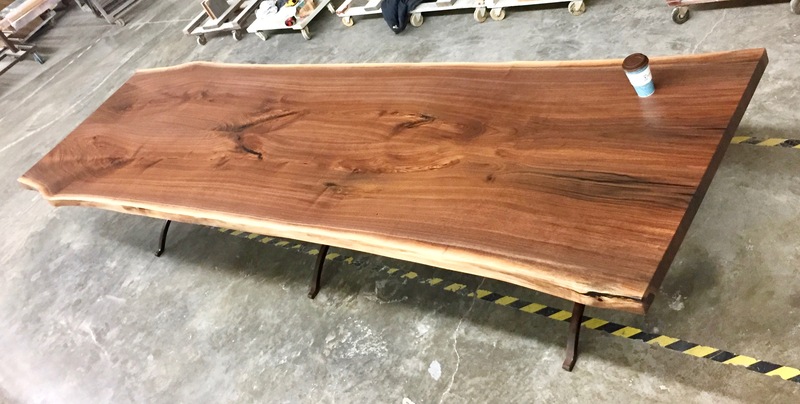 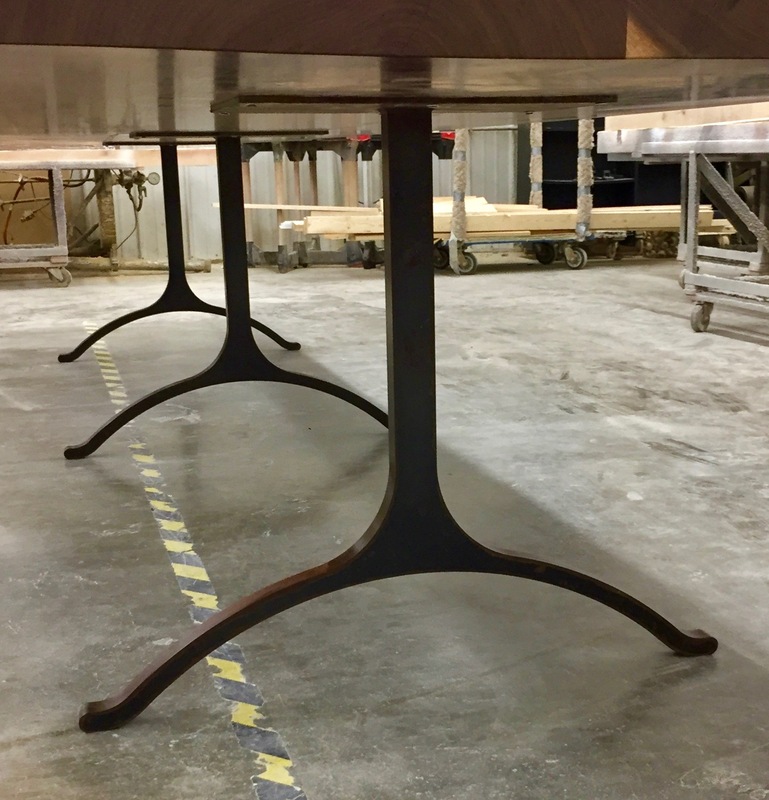 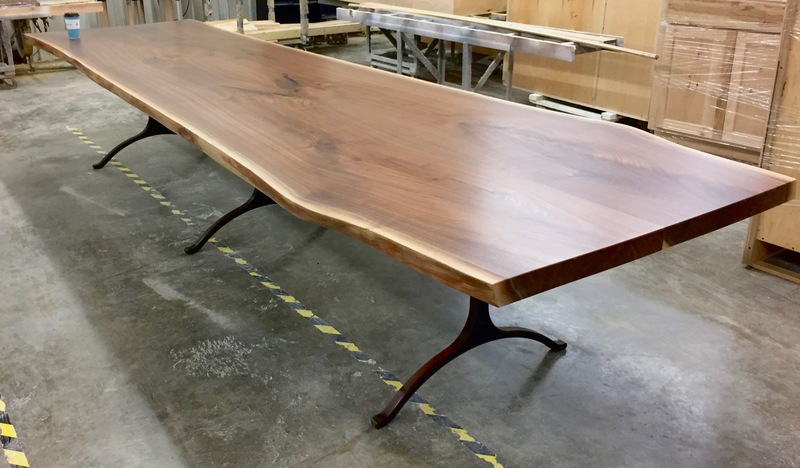 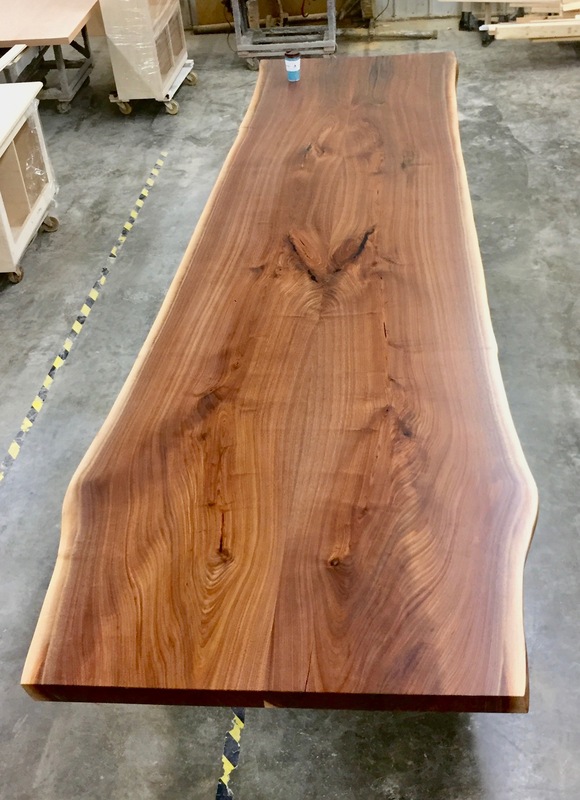 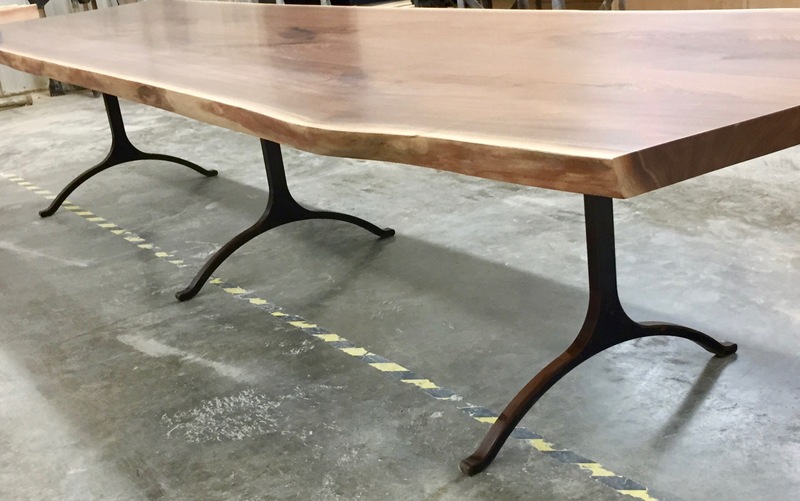 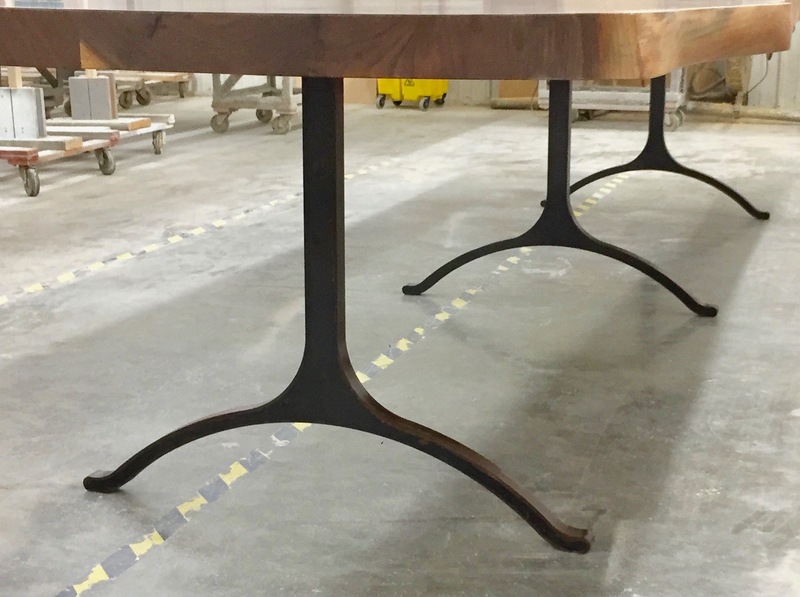 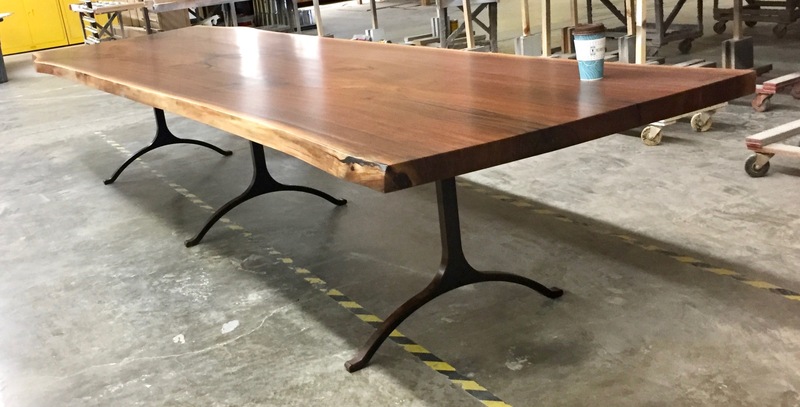 This was a 14ft long by 4ft wide bookmatched black walnut dining table with live edges on three solid steel water jet cut wishbone legs with a dark bronze gunmetal finish. 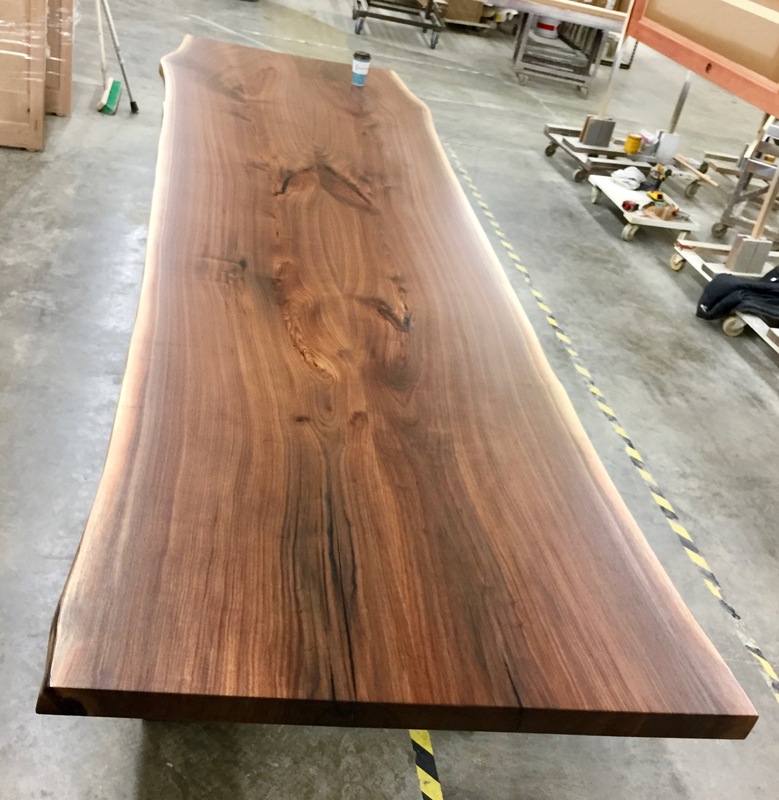 The client that ordered it was looking for something to fill a large dining space in their new construction home: something modern to fit the space with an organic feel to it. 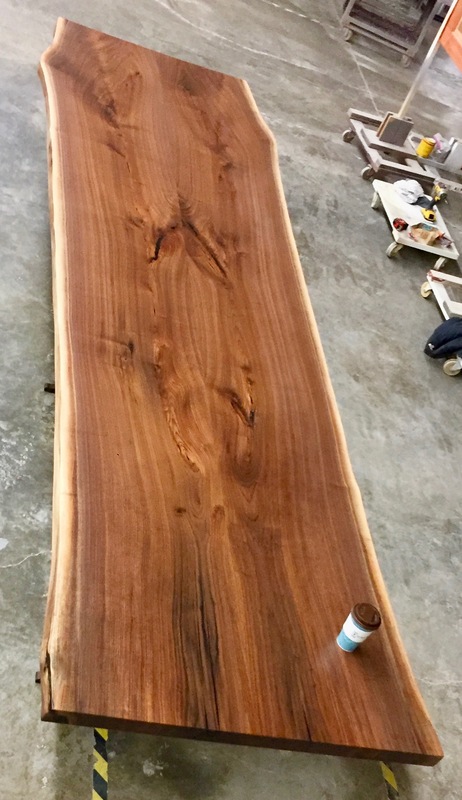 The beautiful grain in the salvaged walnut slabs really helped to soften the clean edges of the clients modern house.